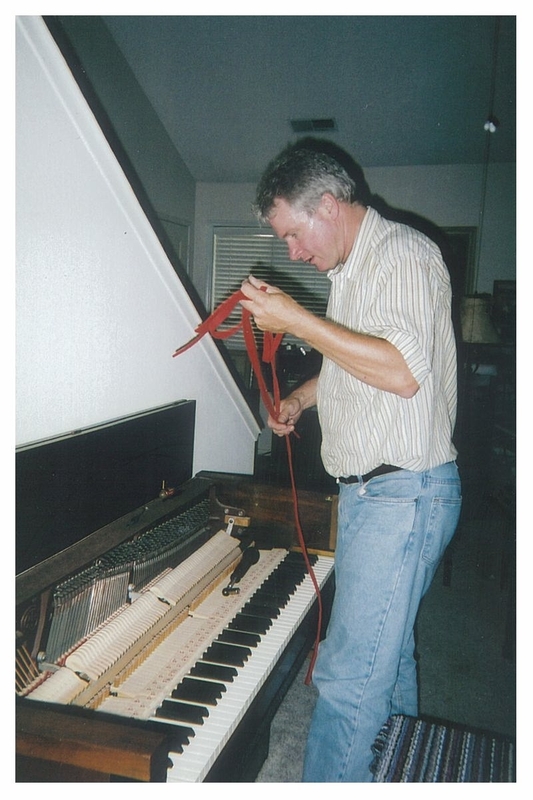 Terry Barrett, RPT, Registered Piano Technician is pictured below getting ready to tune the Aeolian table style piano. 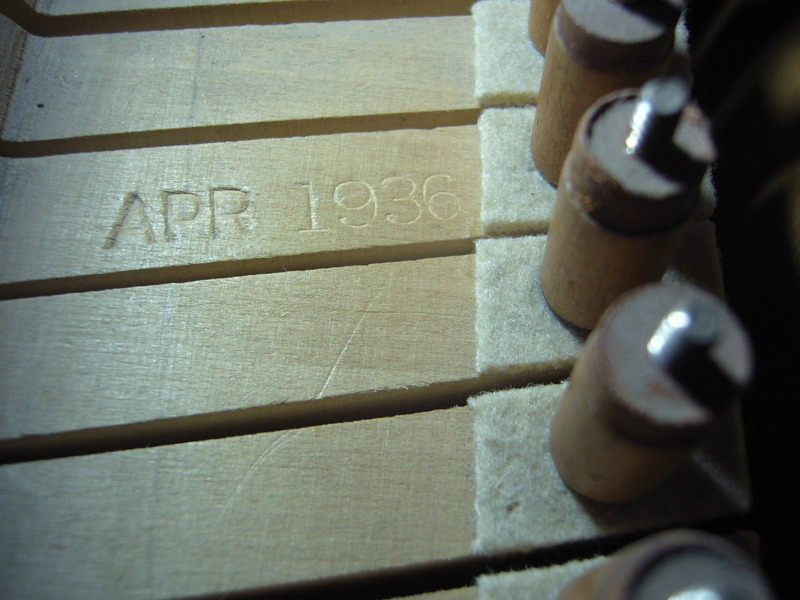 In the process, he discovered its true date of manufacture as April, 1936 (engraved into a key after he pulled the action) confirming York’s estimate to a tee. 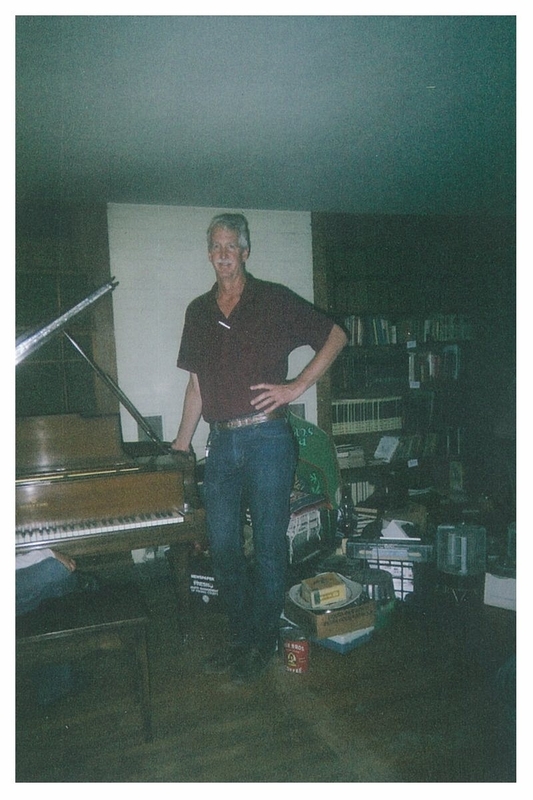 The mystery surrounding the piano’s age was solved. 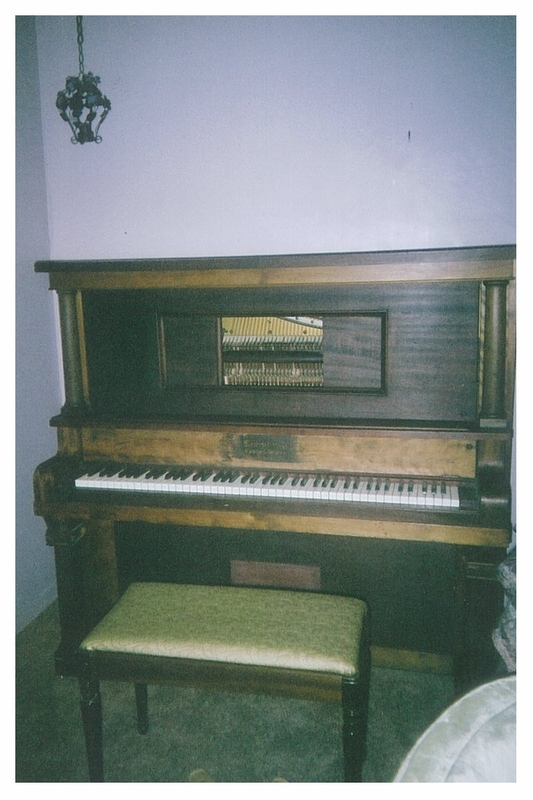 After much belabored research, the probable identity of this old upright piano was a Kimball. 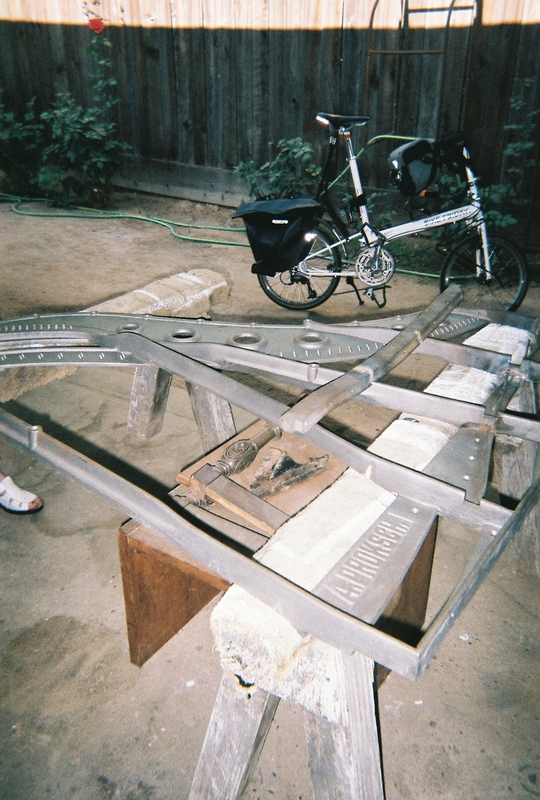 As seen below, the fall board revealed only partial information about the instrument because of its scratchy surface. 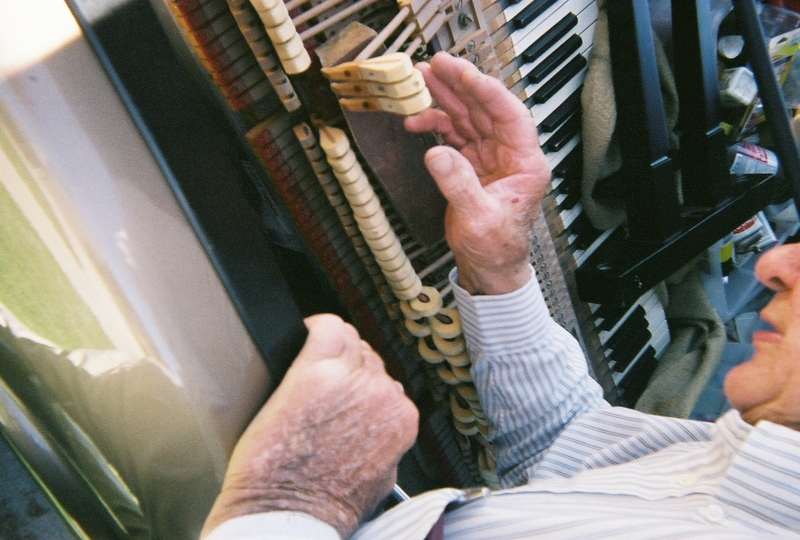 In its heyday, the piano had a working player mechanism. 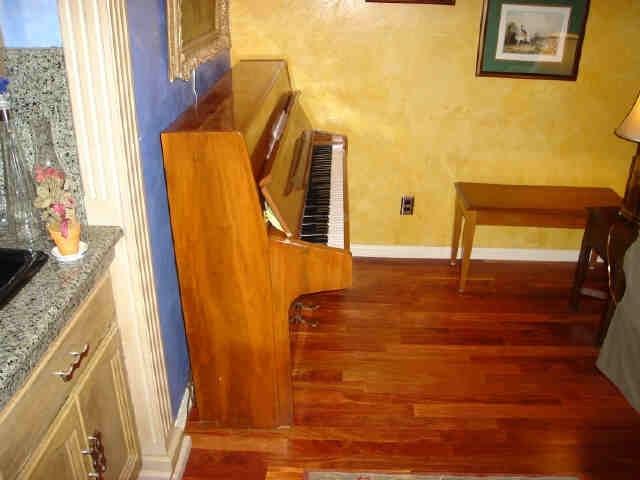 The dusty piano seen in this photo was embroiled in a bidding war. Leading up to the auction day, hungry pursuers fell all over themselves. I was one of them. 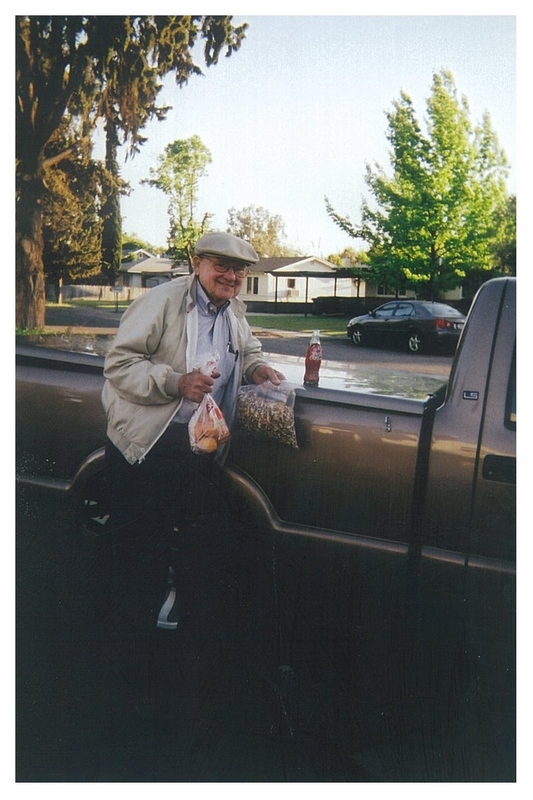 Steve, the auctioneer, Fresno Auction Company is seen below. I had never met anyone this tall in my life. He had to be near 7 ft in height. 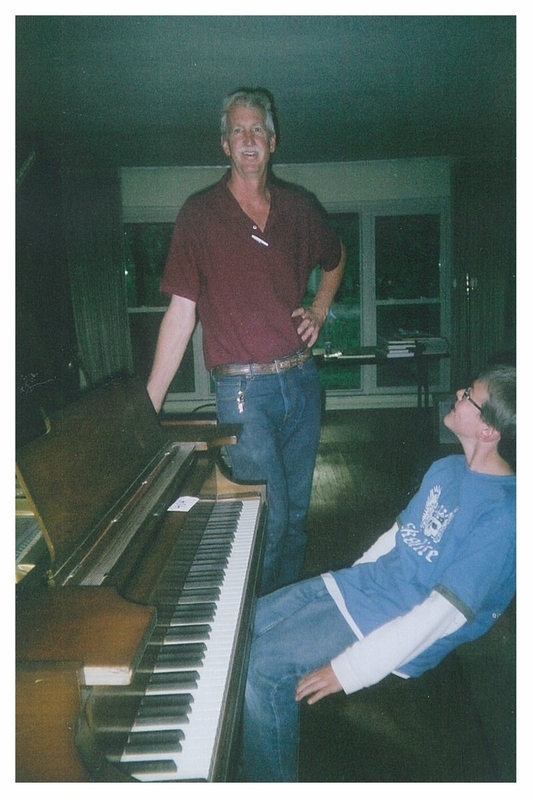 Steve expertly auctioned off the vintage Steinway 1920 piano that garnered $16,000 in 2007. 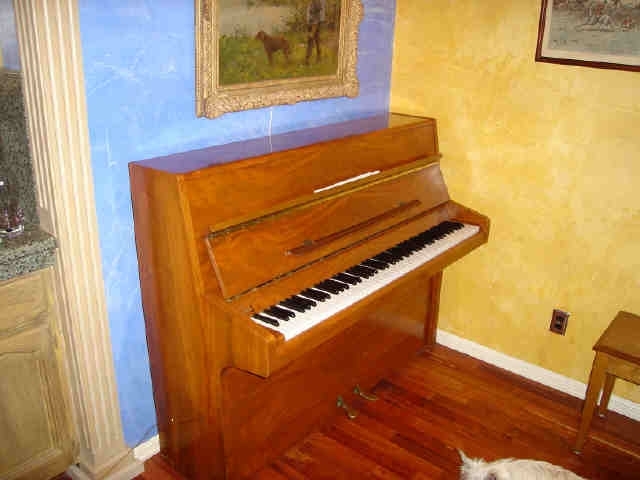 Both Terry Barrett, RPT, and Connell York appraised the piano at a far lower value due to its need for significant repair work. The Winning Bidder is pictured below. 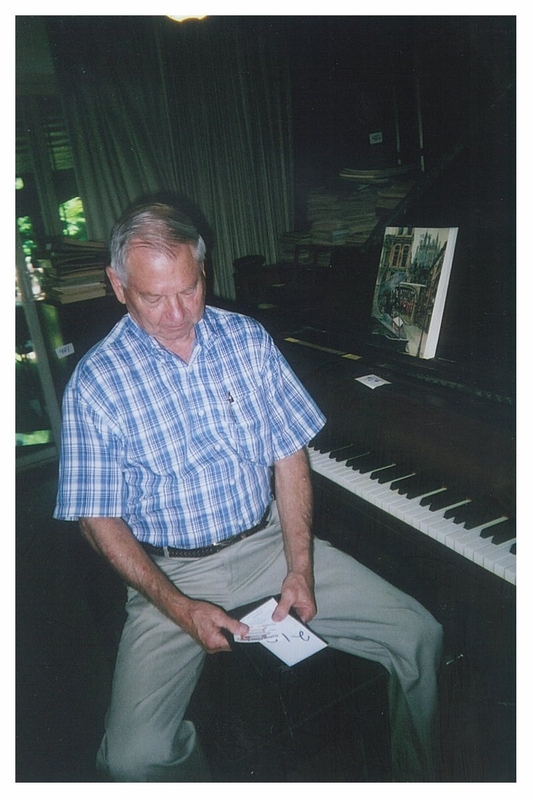 From what I gathered, he routinely donated out the pianos he obtained at these auctions. 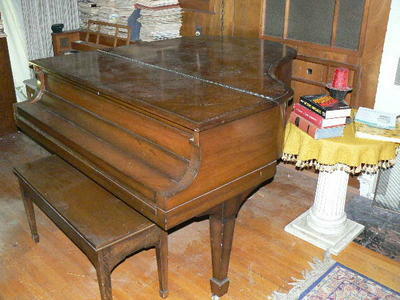 The Steinway 1920 was apparently headed for a church of unknown identity. 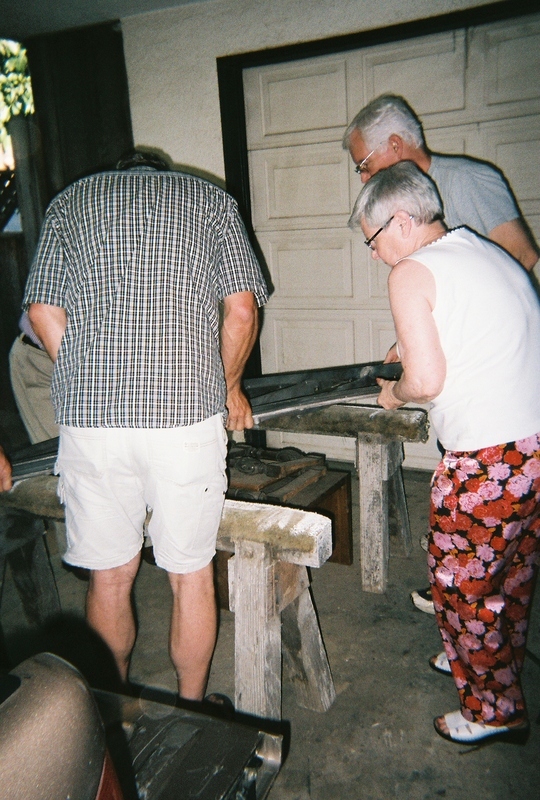 Funeral of a Cracked Plate: A soap opera surrounding an undistinguished, 100 year old grand piano that was purchased by Rebecca McGregor in an Internet buying spree. 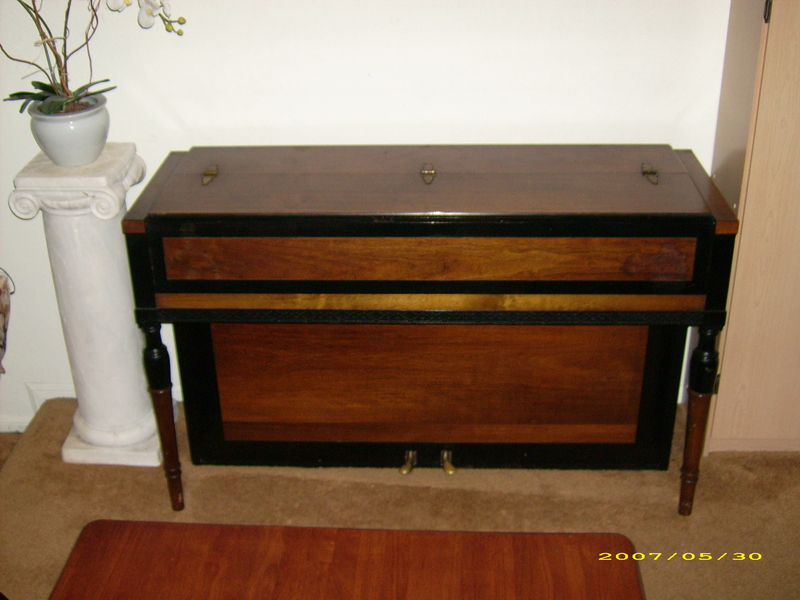 The instrument, a visually appealing antique caught the woman’s attention and eventually became her prize possession, making its arduous cross country voyage from Georgia to California. 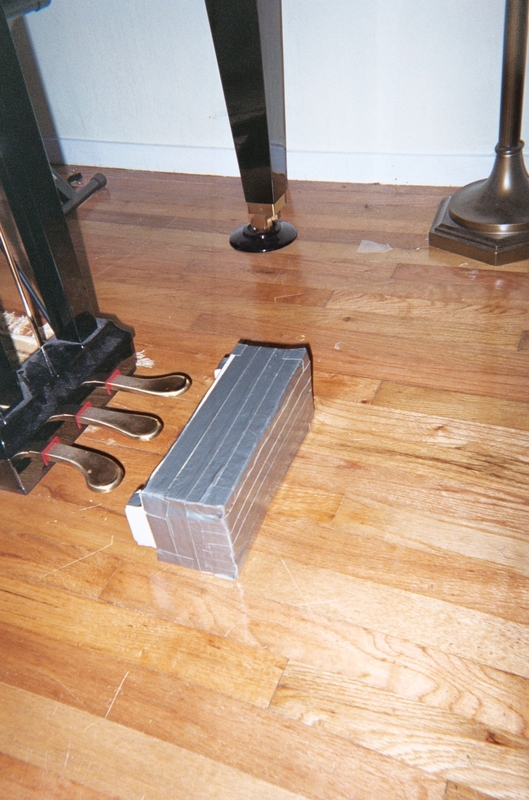 Sadly, some time either before or after its arrival in Fresno, the piano suffered a cast iron plate breakdown, and had to be mercifully taken from its owner. 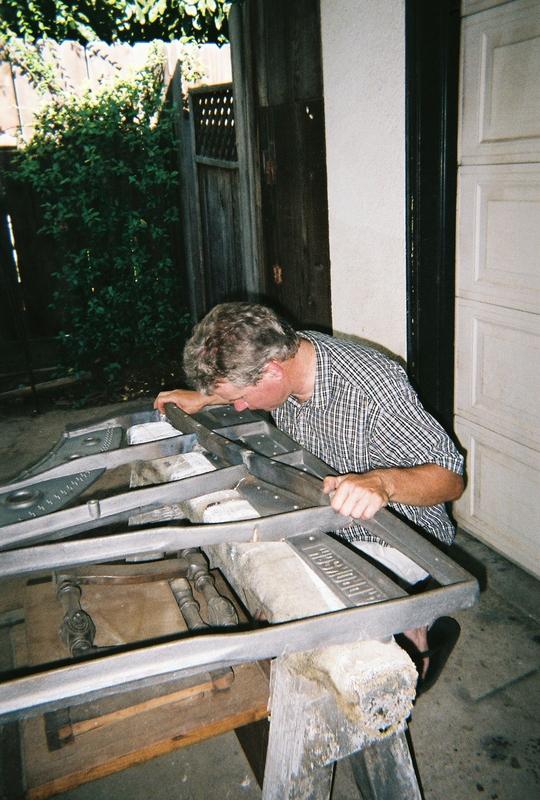 Connell York fought desperately to save the piano, by hauling the monstrous plate over to the College of the Seqouias for welding. The the rest is history…. Terry Barrett has his own very personal moments with the plate. 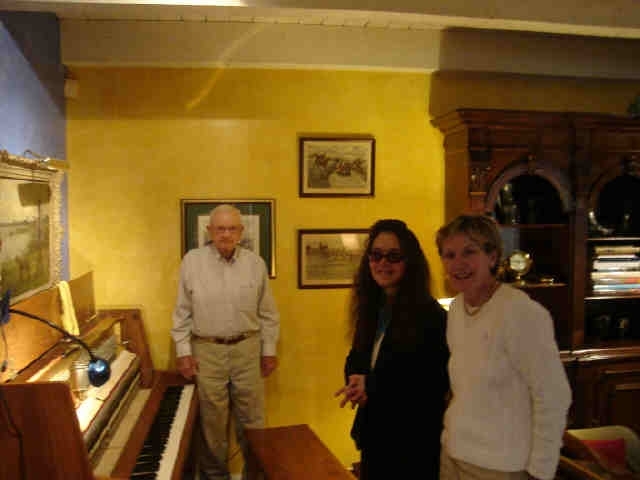 In November, 2010, approximately 3 years following the plate funeral, the CEO of A-440 pianos pleaded guilty to smuggling ivories into the US. 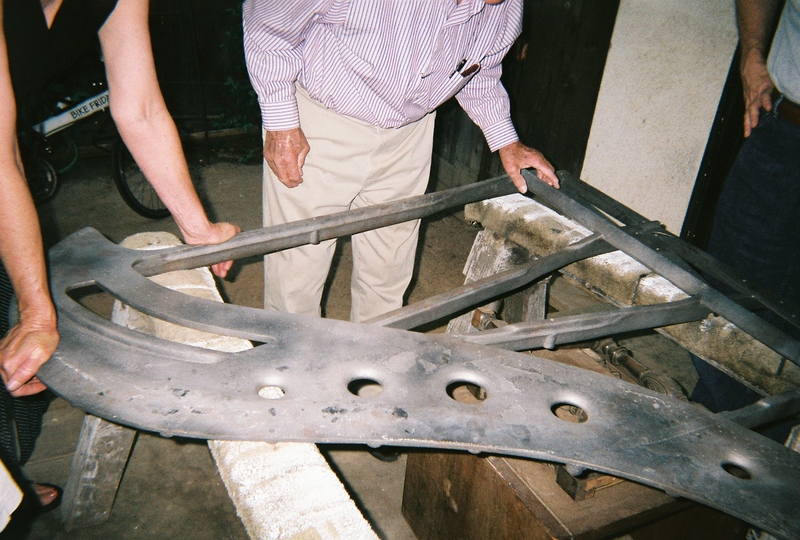 These were used in his rebuilding projects. The Little Knightingale: This beauty was given up for adoption by its owner, Caroline, and the reason became clear as the story drew to a conclusion. 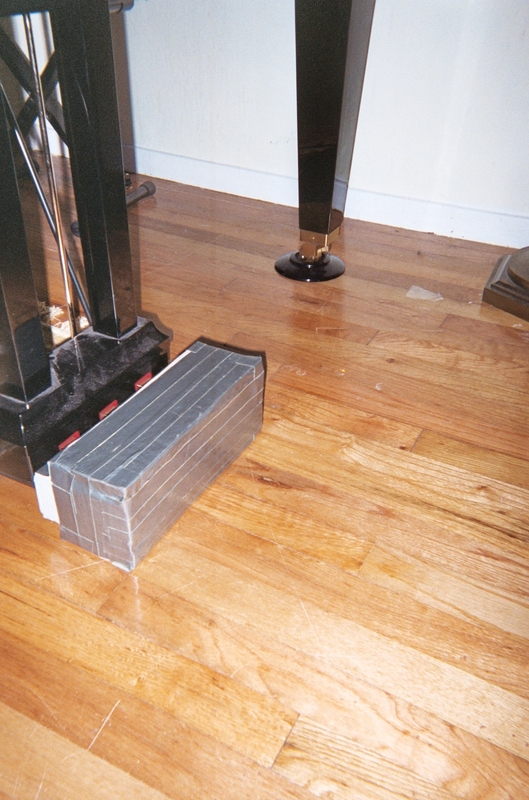 My Pedal guard, designed and built by Fujie Robesky, one of my adult piano students, was meant to protect the damper, sostenuto, and soft pedals from damage or injury by students with poor impulse control. 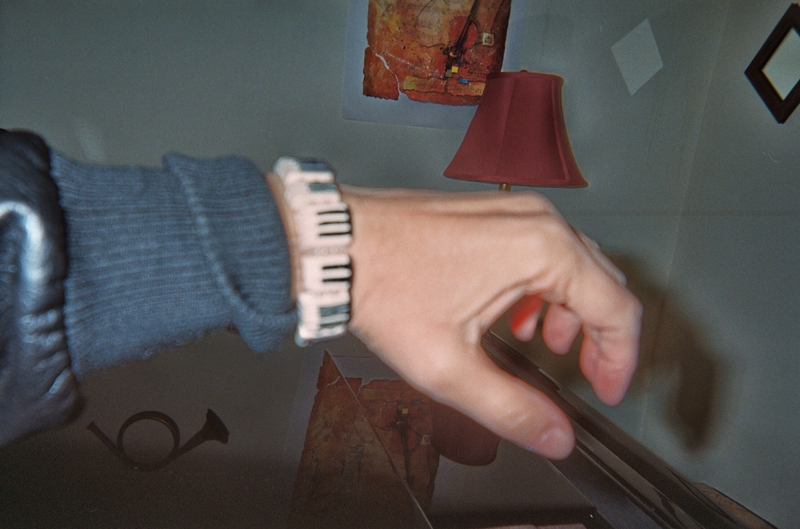 A legal contract was also drawn up to minimize further assaults to my piano. Fujie R. Long-time adult piano student, tofu maker, and ceramic aritst. 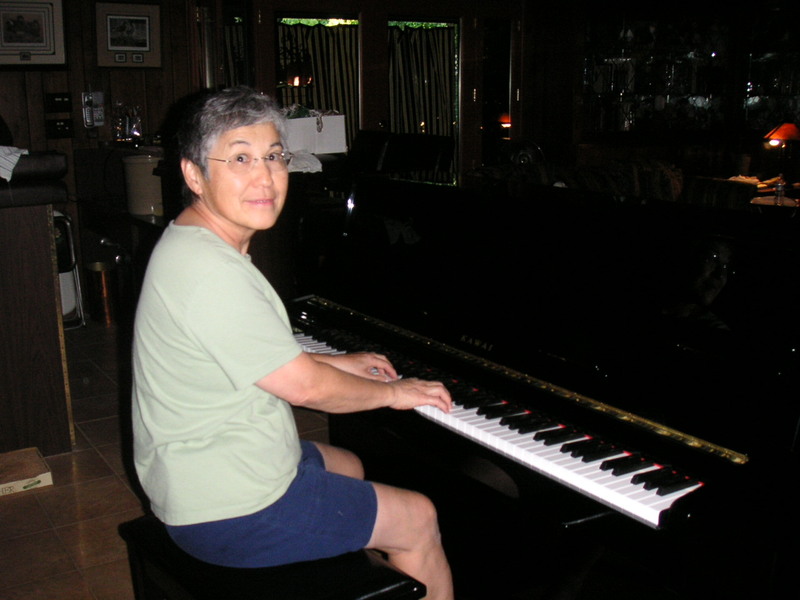 In the photo below, she is sitting beside her new Kawai studio upright that she purchased at California Piano in Clovis during its closeout sale.